I was struck by the obvious affinity of these two photos from my 1984-5 travels, and they have always been together in the album. 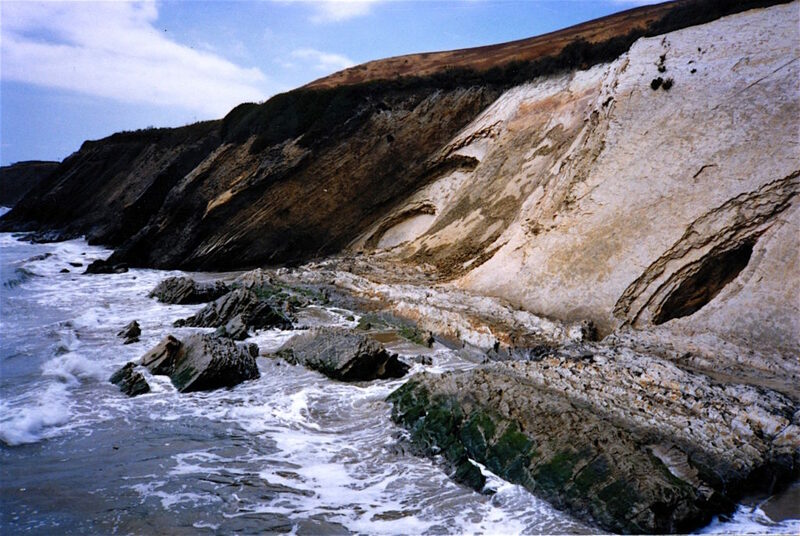 The top one is Gaviota State Beach, about 35 miles west of Santa Barbara, California. 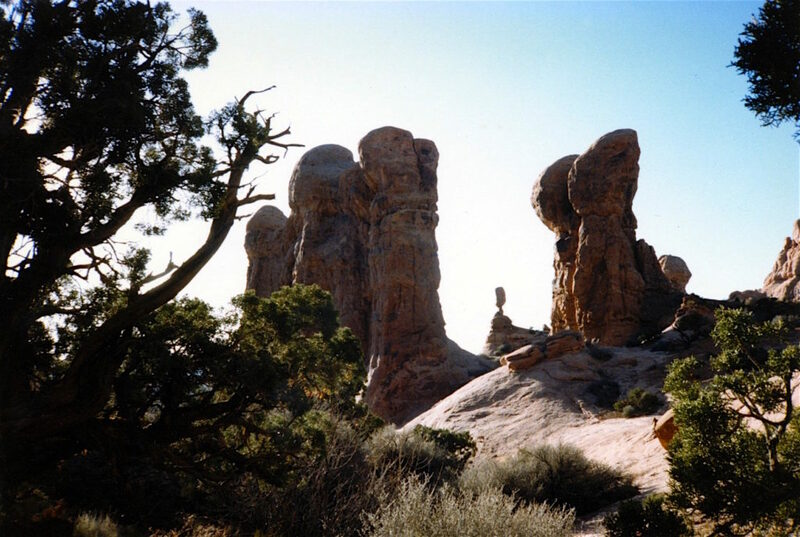 The stone columns are in Arches National Park, an astounding place in eastern Utah and the setting of my Mycological Tone Poem.